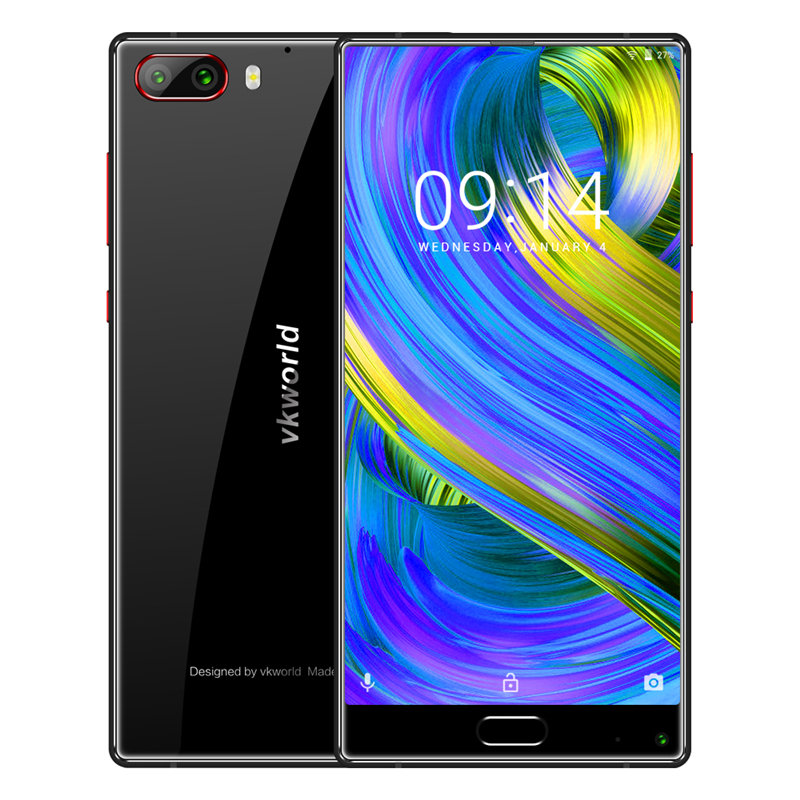 Successfully Added HK Warehouse Preorder VKWorld Mix 3 Android Phone - Android 7.0, Octa-Core CPU, 6GB RAM, Bezel-less Display, 16MP Dual Cam to your Shopping Cart. The VKWorld Mix 3 is China’s latest Android phone that comes with a gorgeous bezel-less display that is guaranteed to take your breath away. Measuring 5.99-Inches, this Full-HD screen treats you to stunning 2160x1080p visuals. Thanks to its bezel-less design, it truly gives you a never ending visual experience. Whether you use this beauty for watching a movie or playing games - it is guaranteed to meet your media demands. With 128GB ROM and an additional 128GB SD card support, this Android phone offers plenty of space for you to fill up with your favorite entertainment. With the VKWorld Mix 3 at your side, you’ll never have to experience a moment of boredom again. Packed within its sleek body, this Android phone holds a powerful Octa-Core processor that has been clocked at 2.5GHz. Along with its 6GB of RAM, this Android smartphone treats you to an outstanding user experience. You’ll be able to play games, watch movies, and browse the web without ever dropping a frame. The phone runs on the latest android 7.0 OS which will further add to your overall smarpthone experience. Thanks to its 4800mAh battery, you’ll be able to enjoy all this phone has to offer for up to 12 hours in a row. At the rear of this Android smartphone you’ll find a state of the art fingerprint scanner. This beauty allows you to unlock your phone in the blink of an eye while additionally adding more security. The phone furthermore holds a professional-grade 16MP dual rear camera that allows you to shoot breathtaking pictures of all those upcoming adventures in live. Whether you’re attending a birthday party or traveling abroad - from now on not a single memory will pass by without snapping the perfect picture. TheVKworld Mix 3 Android phone comes with a 12 months warranty, brought to you by the leader in electronic devices as well as wholesale smartphones..